This is a commission slot. 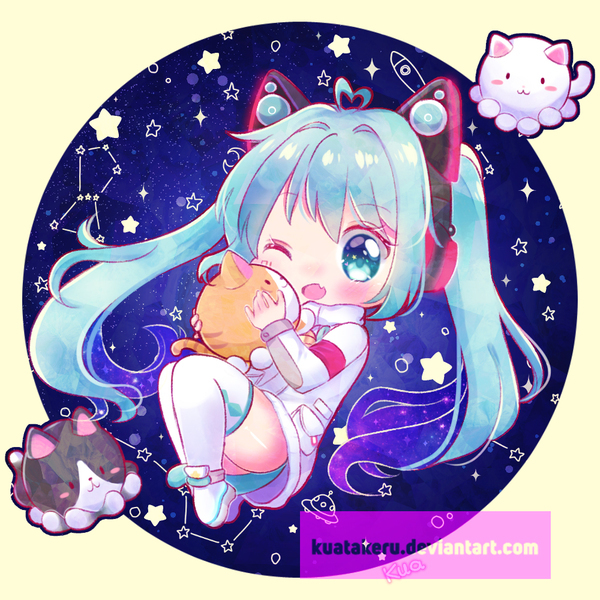 You can hire kuatakeru to create a personalized artwork of this sort here. Before order this gig, please read this list "What I do and don't draw"
The emotes are great. Very cute and stand out. Kua knows exactly what to do. The waiting time is definitly worth it. If you're looking for cute and high-quality Emotes, she is the right person for you ? Fantastic emotes well worth the price! Incredibly fast and beautiful work! Despite some speed bumps due to irl wait times I must say that this artist has delivered such a wonderful product. I'd easily wait as long as need be to commission them again in the future, and would recommend them to anyone for commissions! Before commission me, please read this list "What I can and can't draw"